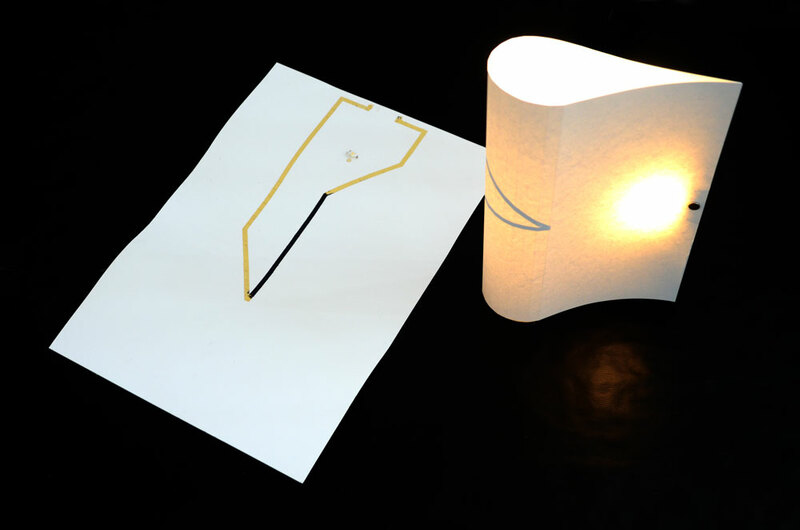 flexiON is an investigation into interaction with future paper-thin light sources. The key interest in its development was the interaction with a source of light with simple and intuitive gestures. 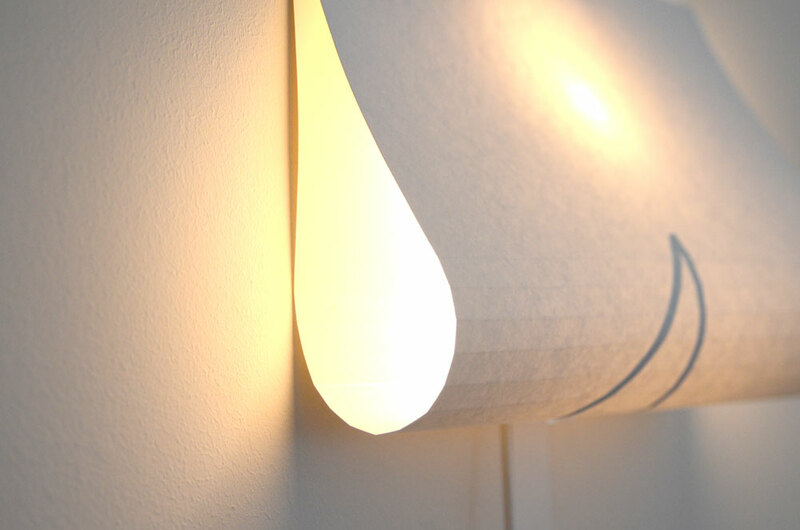 Simply by folding a flat piece of paper into a lamp shade the light is dimmed on. 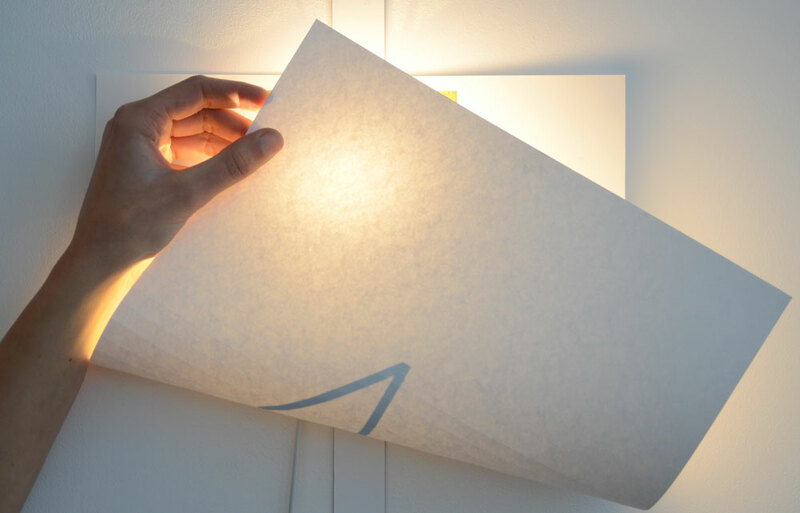 Its paper-thin materiality is maintained by integrating a bend sensor aesthetically and functionally onto the surface of the paper turning it into an integrative part of the light source. Different folding positions modify the lights quality. flexiON is a lightweight lamp that can easily be attached to walls, ceilings or function as an autonomous table light. In its off state it is completely flat occupying only a minimum of space. 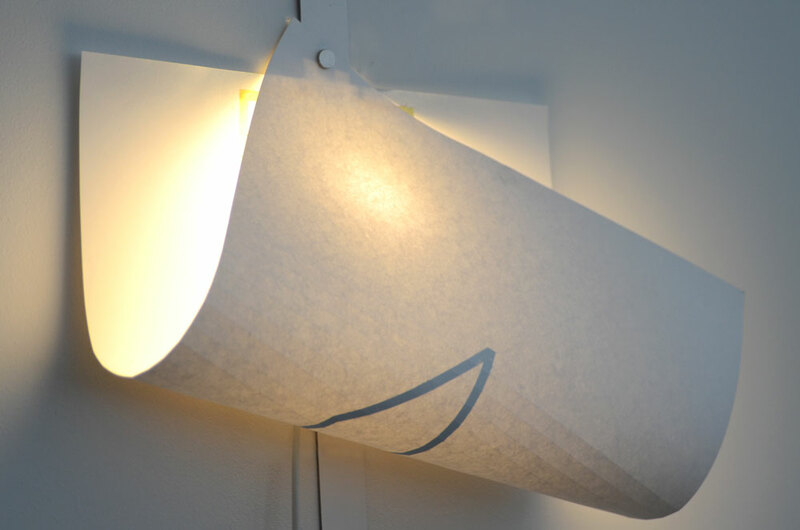 Bending the paper creates a soft indirect light. A custom paper bend sensor was developed for the prototype of flexiON. 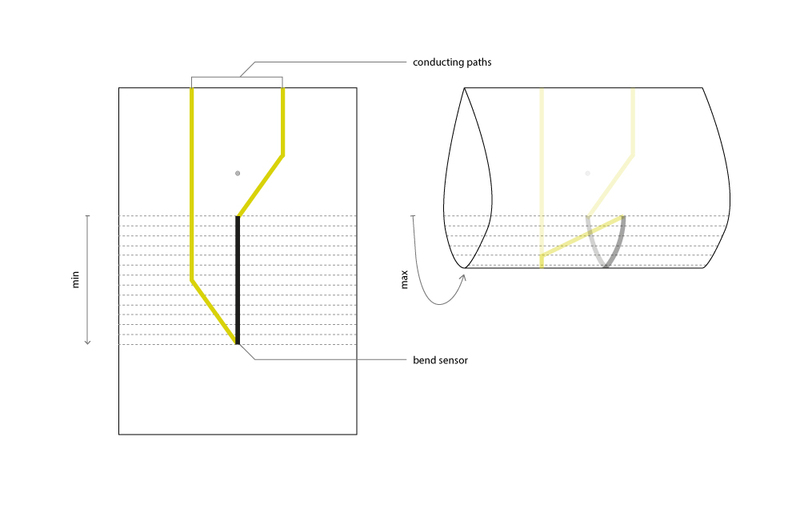 The full documentation of the sensor can be accessed at interactive materiality. In short: By placing creases on top of a stripe of conductive ink the bending of the paper alters the resistance of the stripe. This is measured and converted by a micro-controller regulating the brightness of the LED.